Welcome to Arneeon Media’s first edition of #SEOctober, say what?! October is a change season. It is a month when kids have settled into school, harvest looms, climates change, air changes and stores start getting a little freaky. The month when fall really starts to sink in. It may be the second month in the Fall season, but its time to Rise and not Fall. It is time to get your business in front of your target audience. To get traffic to your offer. To get the Winter and next year locked into positive momentum. SEOctober as we have dubbed it, is a special month-long discount offer exclusive to Social connections of Arneeon Media. Simply, it is your first month of SEO FREE. If you start a contract with Arneeon Media in #SEOctober, you don’t pay the first month recurring charge. No matter how big of a contract we begin with you. There are some terms to this offer to qualify. – An SEO contract of $750 USD ($1000 CAD) or more per month must be started with us in the month of October. 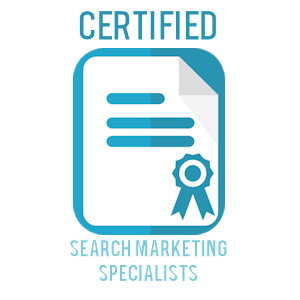 This refers to our 6 month full SEO packages which include on-page and off-page SEO, citations, social signals, Google product tweaking and other best practice SEO strategy. – Approved applicant businesses will still pay the 50% start-up fee, but will not have to pay the first months recurring payment. For example: a $1500/month contract will start with our standard $750 start-up fee and no further charge until the bill date on the second month at which point the $1500 charge will be applied monthly for the next 5 months until contract renewal. B — Then make sure to connect on Social Media and let us know you have begun by replying #SEOctober on our page.